"Whats on your Mind" will help the thousands of people who are currently leaving the Jehovah's Witness religion and are longing and craving for something that brings support, satisfaction and enjoyment. Not an original formula, but using the old family recipe that says come to the table and talk ... Listen in live and talk with the rapidly growing former Jehovah's Witness community that has been "Touched by the Tentacles of the Watchtower"
Six Screens annual facebook night. Facebook friends lets band together and tell your story! Guests Ex-Jehovah's Witness Recovery Group 3! Former Jehovah's Witness anointed woman Pandura Rox thrown "under the bus" The Pandura Rox interview on the Six Screens Tele-Networks "What's On Your Mind" program was one of the most listened to programs in our history. Pandura without question has been "Touched by the Tentacles of the Watchtower" and her life has been adversely affected by the action of many Elders and their wives. Six Screens prime-time program "Whats On Your Mind"
guest AWWA, ( (Advocates for Awareness of Watchtower Abuses) Spokesperson and Secretary Richard Kelly will speak about AAWA'S goal to get people to sign a petition on shunning. To get them to ask their friends, etc. to sign this. AAWA will need 5,000 signers on this first run. And Richard will tell us how he will be working closely with the press to make it happen, to make the world aware of shunning and how inhumane the policies of The Watchtower are. Special Sunday Program. Rick and Wendy discuss the Menlo CA. Lawsuit against the Watchtower. Dan Draney, host of " Watchtower Shunning Revealed" talks about the death of his co-host Steve Staples. Six Screens Prime Time program. Rick has many people calling in from all the time zones. Guest Susan Andrade talks about The new Six Screens Hot line and reads some of the Email Six Screens receives .. "The Good, The Bad and the Ugly". A great lightning round at the end of program, new callers speaking up for the first time. 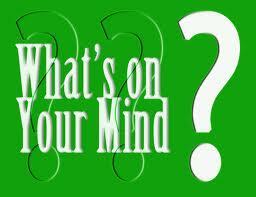 Rick & Reese Host "Whats on Your Mind?"